Allison Gilbert is an Emmy award-winning journalist, and one of the most thought-provoking and influential writers on grief and resilience. The author of numerous books including the groundbreaking, Passed and Present: Keeping Memories of Loved Ones Alive, her stirring work exposes the secret and essential factor for harnessing loss to drive happiness, spark creativity, and rebound from adversity. Passed and Present reveals 85 practical and innovative ways to remember and celebrate the family and friends we never want to forget. The book has been featured in People Magazine and Arianna Huffington and Maria Shriver have tweeted about it. O, the Oprah Magazine named Allison Gilbert a contributor for her inspiring essay, “The Reflection Effect,” about the power of nostalgia to improve lives and help individuals and families thrive. 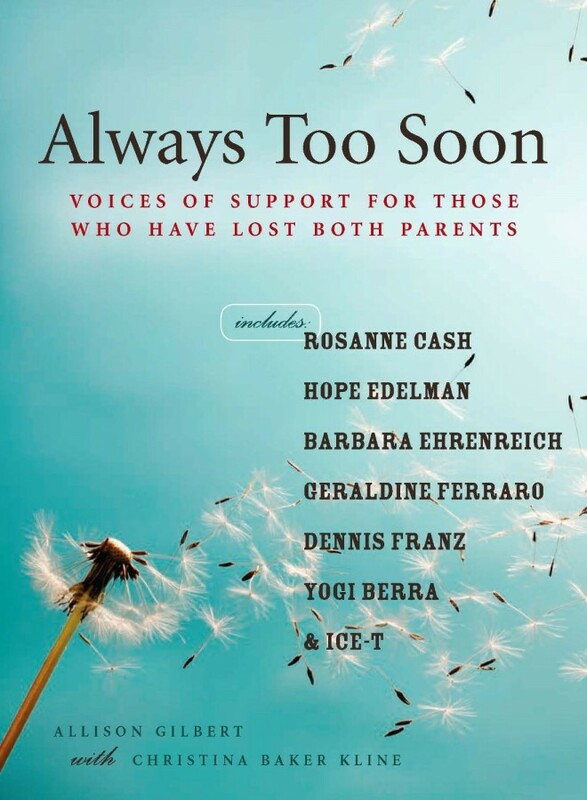 On Allison Gilbert’s popular grief and resilience blog, she features Q & A’s with some of the most notable names in our culture today including, Arianna Huffington, Henry Louis Gates, Jr., Soledad O’Brien, and New York Times bestselling authors Gretchen Rubin and Christina Baker Kline. She also reports on new and creative opportunities for remembering loved ones, further underscoring that honoring these essential connections promotes healing and has the capacity to bring enormous joy. Allison Gilbert is a sought-after expert on grief, loss, resilience, cancer prevention, and September 11, appearing on Today, CNN, and MSNBC. She’s been interviewed by Megyn Kelly, NPR’s John Hockenberry, and appeared at New York Open Center with Henry Louis Gates, Jr. and Soledad O’Brien. Allison Gilbert is frequently quoted in print and online, her perspective featured in The New York Times, The Washington Post, and numerous other publications. Allison serves as Senior Advisor to Tragedy Assistance Programs for Survivors, the preeminent national organization providing grief support to families of America's fallen heroes. Allison has served as Executive Family & Memories Editor at Legacy Republic and spokesperson for Funeral Service Foundation's Have the Talk of a Lifetime campaign. Allison is a popular workshop leader and keynote speaker, helping individuals transform personal and professional setbacks into opportunity. She has spoken to such diverse groups as Google, Time Warner, National Association for Female Executives, National Funeral Directors Association, Association for Death Education and Counseling, International Cemetery, Cremation & Funeral Association, Women’s Enterprise Development Center Inc., Facing Our Risk of Cancer Empowered, JCC in Manhattan, 92Y, Gilda’s Club, and New York Public Library. She also partners with hospitals, hospices, funeral homes, and religious institutions to bring her one-of-a-kind Memory Bash®, to communities all over the country. She runs these fun and meaningful programs for many groups, including New Song Center for Grieving Children in Phoenix, Hospice of the South Shore in Boston, and NorthShore University Hospital and Hospice in Chicago, to name just a few. Her work can also be quite personal and revealing. After the death of Allison Gilbert’s mother to ovarian cancer and her aunt and grandmother to breast cancer, (and following genetic testing that determined she is BRCA1 positive), she made the life-affirming choice to have two preventative cancer surgeries. Her pioneering series for HuffPost, “My Journey to Prevent Ovarian cancer,” chronicles her decision to have a prophylactic hysterectomy. Allison Gilbert writes about undergoing a double mastectomy in The New York Times and talks about the operation and recovery with CNN’s Dr. Sanjay Gupta and MSNBC’s Thomas Roberts. Allison Gilbert started her career in TV news, covering most every major news story in the last 20 years — including 9/11, when she was on the job and nearly killed by falling debris. An Emmy award-winning, multi-platform journalist, she’s been honored by the National Academy of Television Arts and Sciences, the Associated Press, and the Society of Professional Journalists. At CNN, Allison Gilbert connected broadcast and digital audiences by producing high-profile TV segments and writing stories for CNN.com. Before CNN, she was a special projects producer at WABC-TV and an investigative producer at WNBC-TV, both in New York. She was also part of the original launch teams for New York 1 News and MSNBC. Allison Gilbert has received three Emmy awards and six Emmy nominations for various hard news reporting. She’s been awarded first place for consumer investigation by the National Association of Black Journalists, won “Best Multi-Part Investigative Series” by the Society of Professional Journalists, and received “Best Public Service” award by the Associated Press. 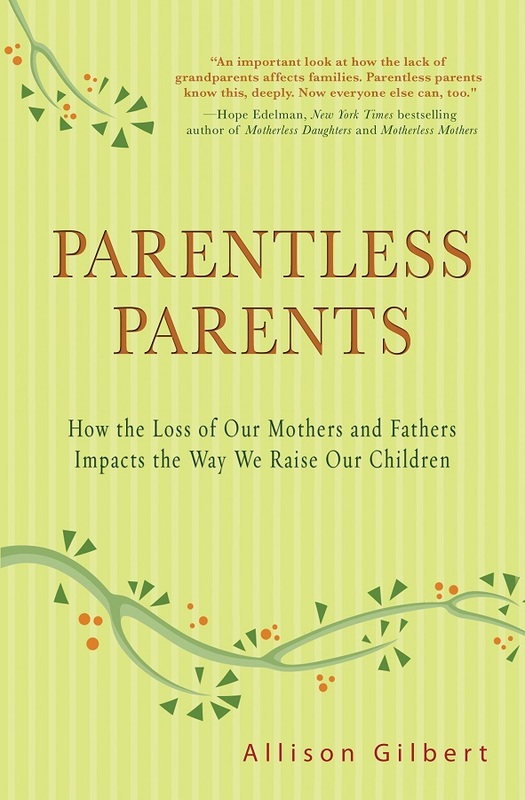 For Parentless Parents, she’s winner of the 2013 Washington Irving Book Award. Allison Gilbert graduated from Georgetown University and lives outside New York City. She and her husband have a son and daughter - a college freshman and an 11th grader.